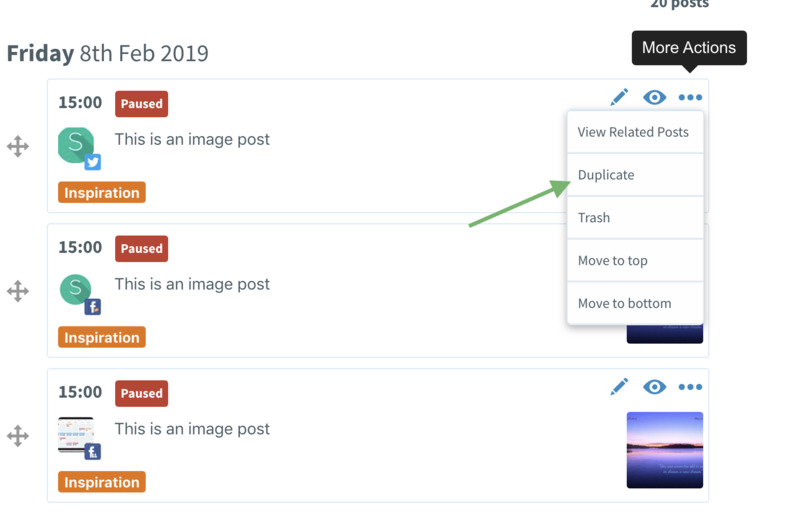 To copy your posts, you’ll need to create duplicates of each post individually. Your post will be added to the Queue for the profile and Category you’ve chosen. 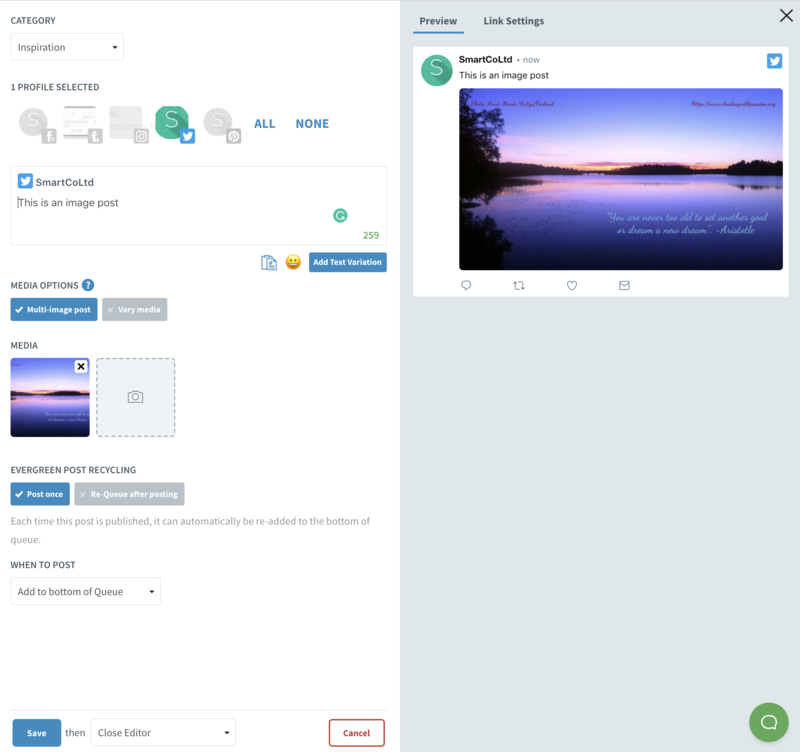 💡We don’t yet have a way to bulk copy your existing posts to a new social profile. However, we've started on this feature -Make sure your email notifications are switched on to be the first to know when it's released! How Can I Bulk Edit Posts?